Local authorities evacuated a number of houses in Osceola County after someone made a bomb threat. The threat originated around 8 p.m. and was directed at a home on Binnacle Street in the Neptune Pointe subdivision near U.S. Highway 192. The police investigated the area with dogs, determined the bomb threat was a hoax, and let people return home around 1 a.m. the next morning. Lt. Ryan Berry of the Osceola County Sheriff’s Office stated the force would be looking into who called in a fake bomb threat as this is a serious crime that can result in felony charges. If you have been accused of a bomb hoax, do not try and handle this situation yourself. Due to the current climate in the U.S. and our country’s experienced with terrorism, bomb threats are taken very seriously under the law. 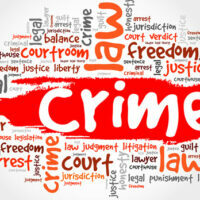 You will need an experienced Kissimmee defense attorney to defend you against these accusation. Concerning the violent use of firearms against another person or persons. About the use of firearms in a violent manner against an individual or people. A crime under either of these statutes is a second degree felony, punishable by prison for up to 15 years and up to a $10,000 fine. to do any act which would be a crime under this chapter. If convicted of a federal charge for a bomb hoax, you can be sentenced to up to 5 years in prison. If you have been accused of making a bomb threat, you must take your situation seriously and work with an experienced Kissimmee criminal defense lawyer. At Salazar & Kelly Law Group, P.A., we know what you are up against. You could face years in state or federal prison for misinterpreted words or a joke gone wrong. Call us at 407-483-0500 as soon as possible so we can begin building your defense immediately.